Access to finance is critical for Micro, Small and Medium Enterprises or MSMEs. But finance is just one component of the overall support package. Logistics and facilities are equally important for any MSME to flourish. Small businesses need good infrastructure, electricity and telecommunication, a challenge that is yet to be overcome in developing economies like PNG. 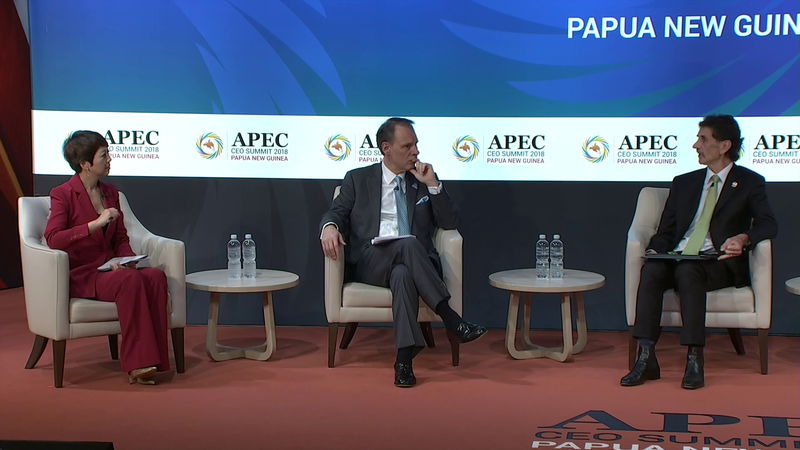 These were highlighted during the two-day APEC CEO Summit. Logistics is extremely important for MSMEs because this is where they need to heavily invest in and in a world of globalisation, this is what is required of them. The CEOs said technology is changing the face of MSMEs with platforms emerging into different technologies and e-commerce is one that is impactful. They gave their insights on how support can be increased. Chief Strategy & Transformation Officer, UPS, Scott Price, said: “What we see is the need to modernise the trade and regulatory environment. It is very unbalanced as you think about data flows and sorts of things that facilitate small businesses to access consumers and other markets. Apart from financing and logistics, getting the basic infrastructure is another, especially for communication. ABAC PNG Member/Chairman, Policy & Secretariat, Wayne Golding, said: “The most important thing is or economies to invest heavily in communication infrastructure; that is absolutely paramount. Having a precise business model and plan is also a big plus. “It is important for businesses to be able to look at how they can develop future profits,” added BSP Group CEO, Robin Fleming.